See wage costs in real-time and adjust staffing levels to drive profitability. No need to wait until the end of the day or week when it’s too late to make changes. 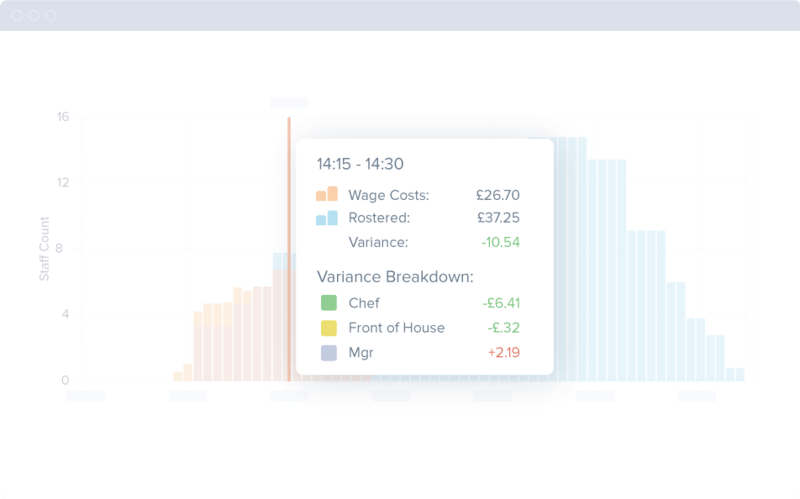 Live Wage Tracker gives you the information you need to make sure every shift is a profitable one. See how many staff are working in each team compared to the rota throughout the day. Monitor your wage costs in real time as Tanda’s Wage Calculator computes the exact cost of your wages for each minute of the day. 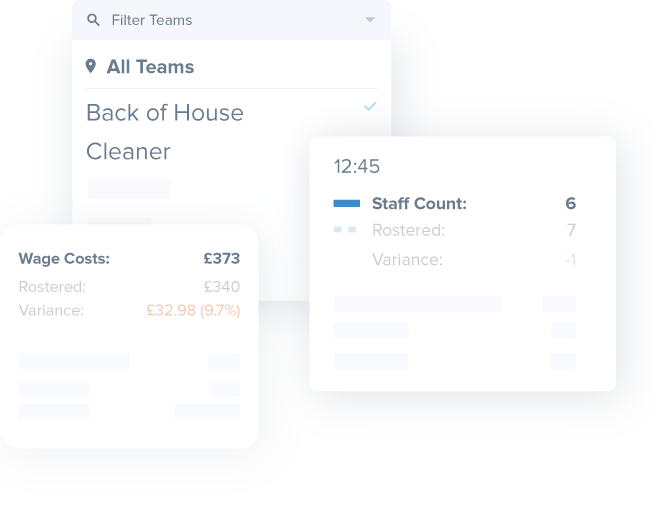 Filter teams by location to see exactly where you’re spending your money and which teams are over budget. Make adjustments to your rota throughout the day to run a successful shift. Notice wage costs are higher than expected? Easily see who stayed late or arrived early. Get complete oversight of staff numbers in all teams and at all locations. 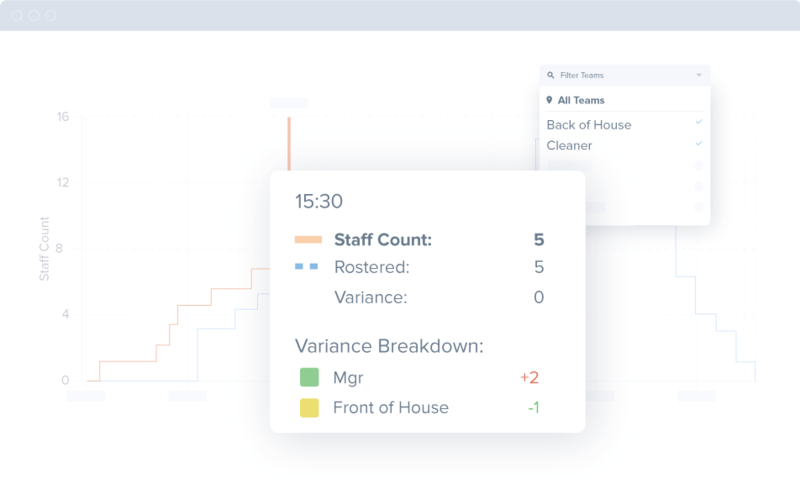 Live wage tracker will show you how many staff are currently working and which teams or locations have the largest variance from your rota. 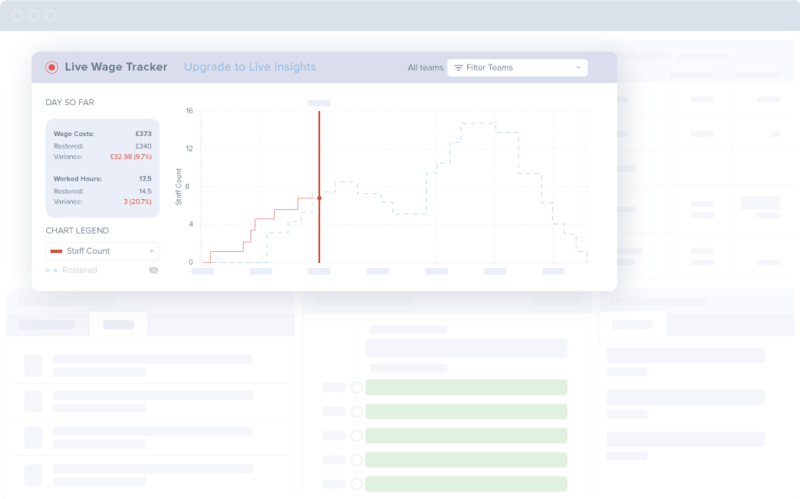 Tanda gives you real-time, actionable data so you can react quickly to unexpected changes and ensure a profitable shift at the end of the day.